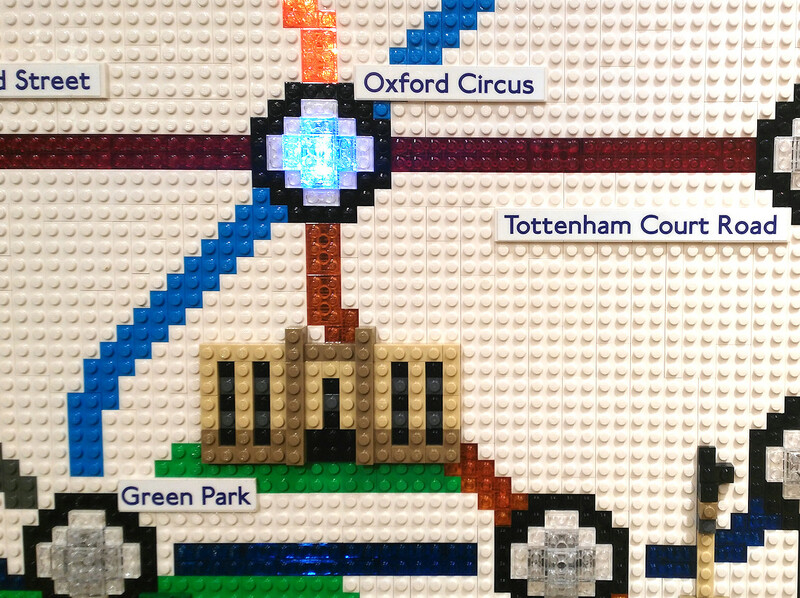 Home » Tube » Lego Tube Map! A new flagship Lego store opened in London a few months back, in Leicester Square. Since the launch, there has been an almost continuous queue to get into the shop, let alone to buy anything. This is mainly because of the amazing Lego sculptures that adorn the shop. To one side is full-size section of a tube carriage, in which you can sit surrounded by lego characters bigger than yourself. 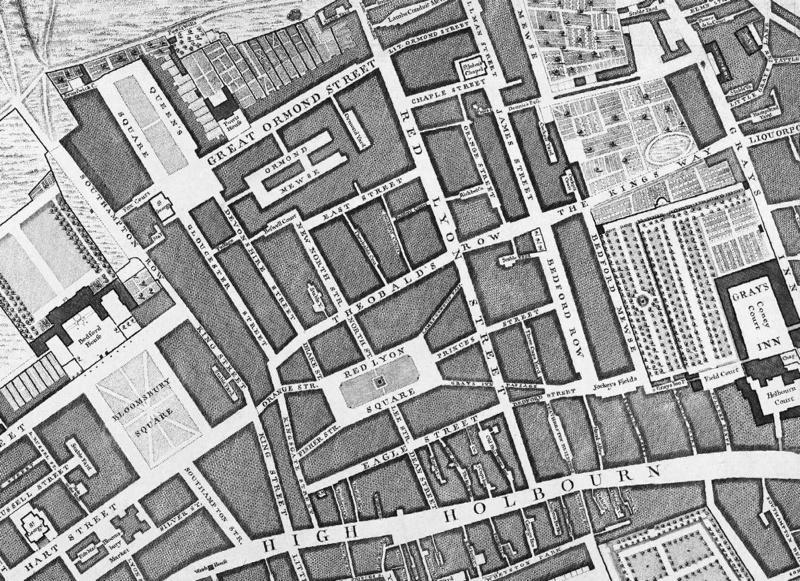 On the other side, is a large model of the Elizabeth Tower (aka Big Ben), while adorning the staircase up to the first floor is a mural of central London, showing the Thames, various skyscrapers and other landmarks in lego form. 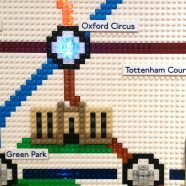 But the most exciting creation, for Mapping London, was a large map of the London Underground in Zone 1, made entirely of – you guessed it – lego. 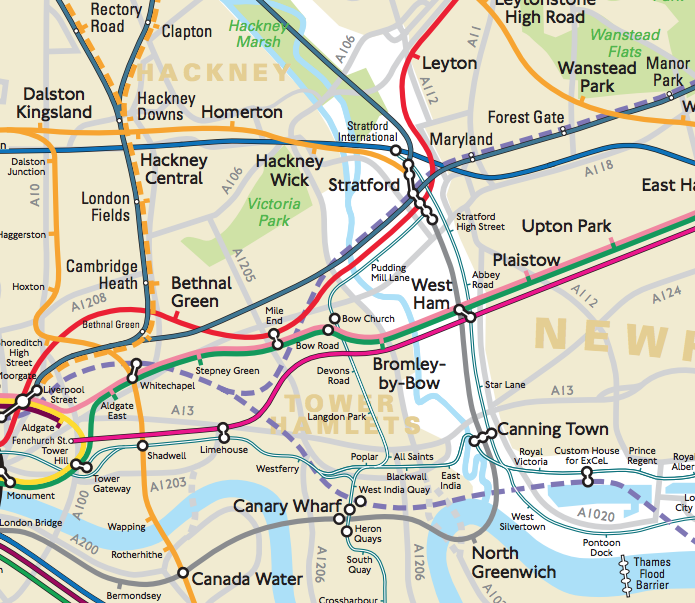 The station circles and lines are translucent, and the map shows pulses of coloured lights showing the movement of tube trains, the stations lighting up as a train arrives. 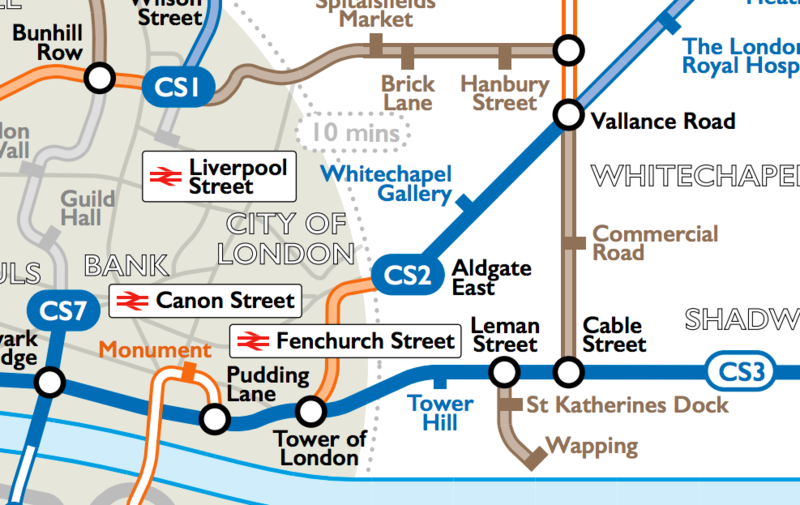 Landmarks are also included on the map. A close-up look reveals the individual Lego pieces. It’s really rather impressive. The Lego Store is on Leicester Square, opposite the M&Ms Store, we had a 10 minute wait to get into the store on a rainy weekday evening, but you likely don’t have to queue if you visit on weekday mornings. 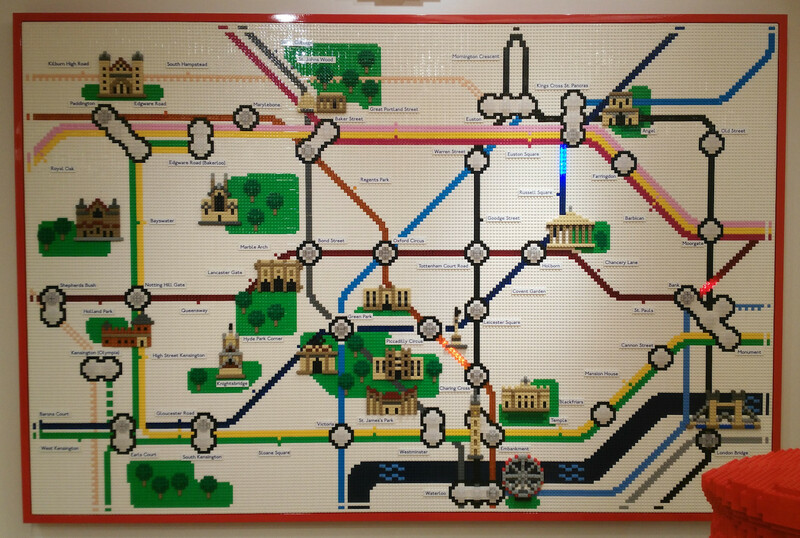 Thanks for sharing a fun Lego tube map.